Glasses & Moustaches. Who will you disguise today! 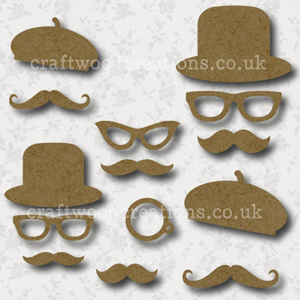 Craftwood Disguise Kit Shapes are made from 2mm Premium Grade MDF.